Colbek Systems is an authorised reseller for 3CX, a fully IP networked business phone system offering unrivalled functionality with all the features you would expect from a leader in VOIP telephony but without the costs associated with on-premise proprietary business phone systems. 3CX Phone System for Windows is a software based PBX for Windows that will improve your business communication. IP Phones, SIP trunks and VoIP Gateways provide a full PBX solution – without the inflated cost and management headaches of an ‘old style’ PBX. Used by more than 30,000 companies globally, 3CX has been recognized for its innovation and cutting-edge technology and will satisfy all your business communications needs. 3CX includes clients for smartphones and Mac or Windows laptops that allows users to use their office extension from anywhere, seamlessly integrated as if they were in the office. Work from home, work from a branch office, work from a coffee shop, in fact work from anywhere. Employees can use single company number and make a professional impression. 3CX applications also include call management software, and video and audio conference calling solutions. If you have a single office then the system will provide you with all the features of a traditional PBX but with lower installation costs and lower running costs. If you have multiple office then you will have the added benefit of a consolidated phone system with the ability to transfer calls to another office as easily as if you were transferring a call to the desk next to you. From small business phone system to large scale enterprise a single business phone system will work for your company. Ideal for businesses that need a full functioning virtual PBX that can run in the cloud and still give complete control at a fraction of the cost of other cloud solutions or a traditional small office phone system. Ideal for a virtual office or to replace your office based system with a cloud based system that will support calling from anywhere in the world. Our customers also have complete flexibility in their choice of SIP trunks and devices and we are on hand to help with the most reliable and cost effective choices. You’ll have access to a wealth of productivity boosting features. These include softphone and smartphone clients for Windows, Mac, iOS and Android; Presence, chat, and integrated video conferencing as well as unlimited extensions. 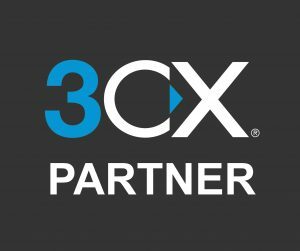 If you have any doubt wwhether 3CX can grow with your business their customers include Pepsi, Boeing, McDonalds, Turkish Airlines, Drayton Manor Theme Park and thousands of smaller companies worldwide. On-going support e.g. adding new users, re-configuring your telephone system to suit new business needs, adding new phone numbers etc. Modern systems need the highest level of professional maintenance. Colbek’s engineers have the expertise to provide every customer with total support. We also offer premises cabling for telephone systems and computer systems. For VOIP phone systems in Warwickshire, the Midlands including Nuneaton, Coventry, Birmingham, Leamington Spa, Warwick, Stratford upon Avon, Rugby, Daventry, Atherstone, Tamworth, Hinckley, Lutterworth, Coleshill, Solihull, Sutton Coldfield please call us on 024 7639 7070.